I've been playing around with the idea of denim crazy quilt squares, since I have a huge pile of old jeans to do something with. 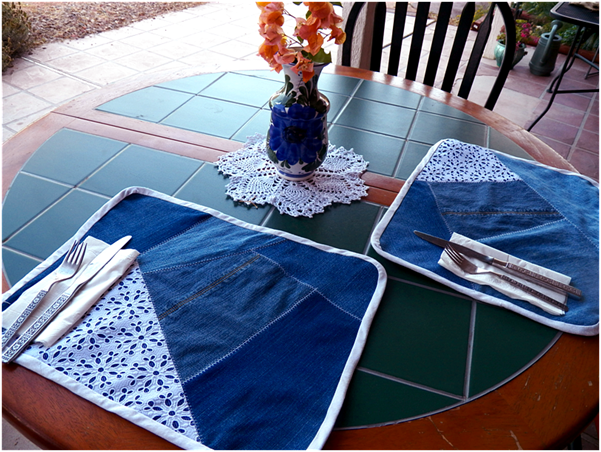 The squares are still works in progress, but I made denim placemats in a crazy quilt design that I love! 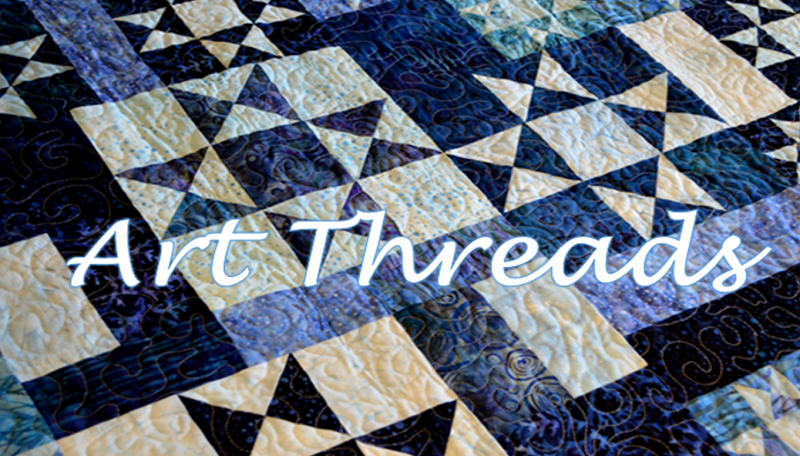 If you're not familiar with how to put crazy quilt squares together, see this past post. 1. Cut rectangles of backing fabric - I made my placemats 12 by 18 inches. 2. 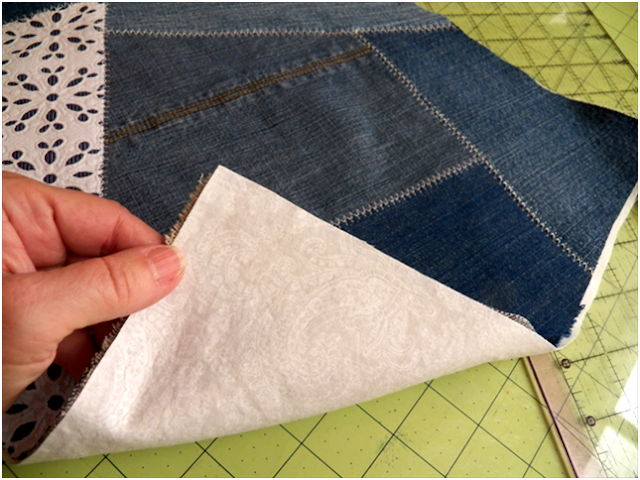 Sew your first piece of denim onto the center of the backing fabric. I use a larger stitch (not quite basting length - in between basting and regular) so it's easier to take off if I don't like where I put the pieces or if I end up putting them on the wrong way. Which happens every time I crazy quilt! 3. Add the rest of your pieces one at a time and pressing after each addition. 4. On the right side, sew on top of each seam with a decorative machine stitch. 5. 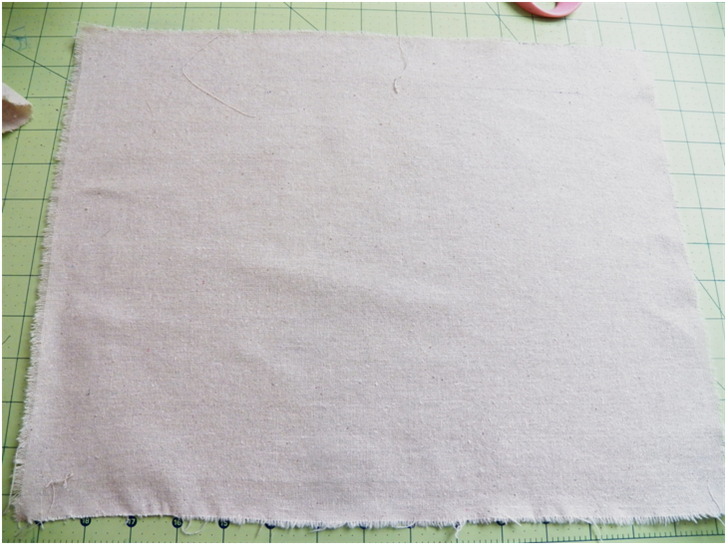 Cut a piece of backing fabric, line up with the crazy quilted side, and baste the edges together. These placemats are reversible, so you can either back it with another crazy quilted piece or a coordinating fabric. I used the same white on white paisley print I made the bias tape from. 7. Finish the edges with bias tape. See this past post for how to make it yourself and how to attach it. I enJOY using crazy for using up scraps. These place mats look great. I never have good luck with binding. I always skip stitches on the backside and my binder foot doesn't help. Wonder what I'm doing wrong? Thanks for sharing. Love your blog. I'm not usually happy with how my binding looks when I totally machine sew it either, so I usually open it up, machine sew it to the edge, and then fold it over and hand sew it into place. See http://artthreads.blogspot.com/2010/08/wednesday-sewing-bias-tape.html down near the bottom for a better explanation. I find it faster and easier to attach binding the "old-fashioned" way I learned it in high school. Open one side of double-fold binding, attach it first to the back only, then fold closed and over the front, topstitching close to the binding edge. Trying to attach it to the back and front simultaneously just has too much going on to do it well and look nice. This only seems like it would take twice as long; it actually goes faster because you're dealing with only one thing at a time. Yes I learned it that way, also - back when high schools still had home ec and sewing! I'd still rather hand sew the second edge (just personal preference, though) on most things. But, yes - that is another good option for attaching seam binding! Thanks! Your list of materials needed says "*about yards of bias tape", with no amount needed. How much would you need if you were buying it ready made? If you have a lining fabric, wouldn't it be easier to sew them together, right sides together, leave a small opening, and turn inside out? 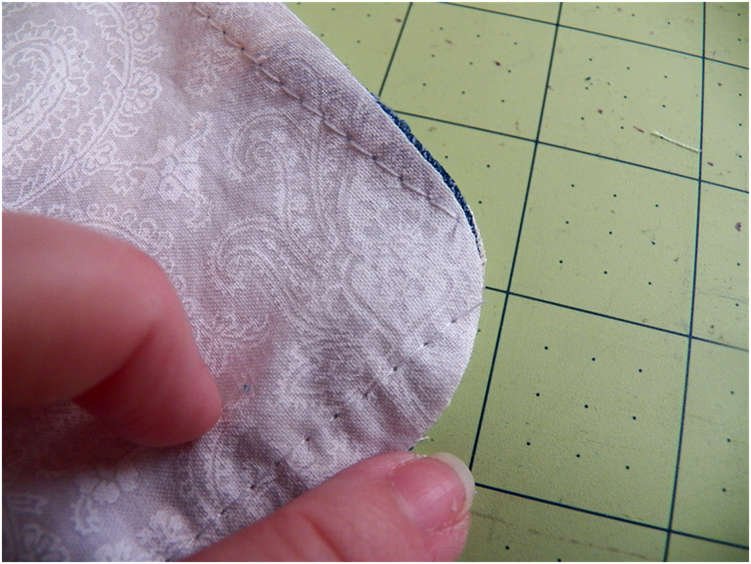 If you top stitched around the edge, that would close up the open seam. Thank you for pointing out the bias tape yardage was missing! I can't figure out how that went unnoticed for 1 1/2 years! Yes - having a seamed edge is another way you could make this placemat. With the top fabric being denim, however, you might find the seam is pretty bulky. Basically it's just two different looks - I love the accent bias tape gives sewing projects, but if you don't you can do it the other way. I have been spying on your posts now and again. This time decided to follow all the way :o) I just love these place mats. I do have a question for you though, Do you by any chance have a sister named Aubrey? You look so familiar. I also recognized the last name :o). My name is , er, used to be Karen Jones, but since then I left have gotten married. I am from Hutchinson, Kansas but I moved to WA.. If so please do tell her I said hello. I'd prefer it if the title read "What to do with moms old jeans". Not old moms jeans lol. But this might have been mentioned before.